Your daughter will fall in love with the Leah Heart Metal Canopy Single Bed – Pink. 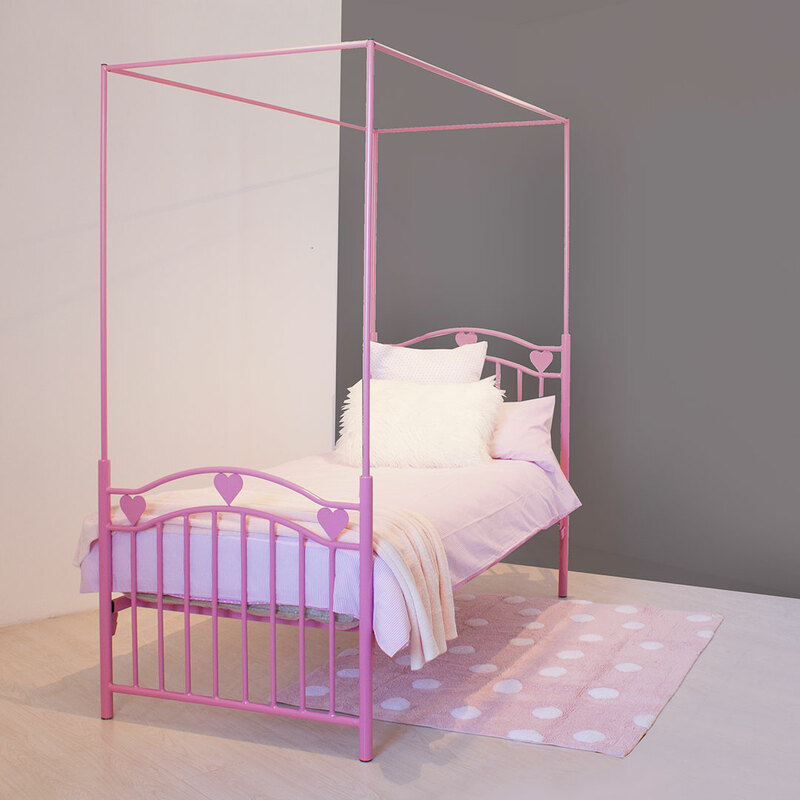 This powder coated metal four poster bed features heart details and an elegant design, perfect for girls of all ages. A solid hardboard base will ensure sturdy support. This beautiful bed is assured to last for many years. Standard South African single size bed.